Home > Questionnaires > Questionnaire: Can You Afford a Gap Year? Going on a gap year can be an incredible chance to see the world, find out more about yourself and even gain skills that could help your future career. But none of that will be worth it if you have to bankrupt yourself or go into deep debt in order to fund your travels. To help you discover if you are in the financial position to go on a gap year we have put together the following questionnaire. Simply answer "yes" or "no" to each question, total your answers and match the totals to the results at the end of the page to find out if you are financially prepared for the gap year of your dreams - or any gap year at all. 1. Do you know the price of transportation for each leg of your proposed gap year? 2. Do you know the price of accommodation in each area you hope to visit during your gap year? 3. Do you know the price of food, entertainment and activities in each area of your proposed gap year? 4. Do you know which supplies you will need for your gap year, and the price of each? 5. Do you know the price of travel insurance? 6. Do you have any other financial obligations that will need to be met while you travel? 7. 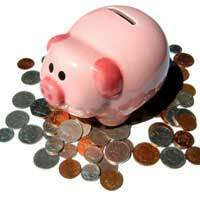 Can you afford to meet your financial obligations if you are not working during your gap year? 8. If you plan to work during your gap year, do you know how much you will be paid (local currency and pounds)? 9. If you work abroad do you know how much you will owe from your wages for local tax obligations and those at home? 10. Can your savings cover all of these costs with some left over for emergencies and when you return? 11. If you can not afford the gap year of your dreams, are you willing to wait or reduce your travels until you can? 12. If you hope to take a loan to afford your gap year, do you understand the interest and payments schedule? Are You Financially Prepared For a Gap Year? If you answered "yes" to between one and four questions then you are not financially prepared for a gap year at this time. It may be that you have enough money in the bank to cover your expenses, but until you have actually researched everything and totaled up how much the entire year will cost you won't really be able to determine if you have the funds for everything you want to do. Spend some time looking over your finances, tracking down expenses information and reconciling the two. Put yourself on a budget now to help build up your gap year fund and strategise what you will do when you return home to secure employment and once again build up your savings. When you have firm plans in place then you can feel more confident that each day brings you closer to your gap year goal. If you answered "yes" to between five and eight questions then you might be financially prepared for a gap year. Whether or not you can afford to travel is a question that means more than just do you have room on your credit cards for flights. In fact, if you are putting any part of your travels on your credit card because you do not have the funds available right now then you can not afford a gap year. If you qualify for a travel loan then you can access more funds, but it still does not mean that you can afford to travel it means that you have been approved to go into debt in order to travel. There is a big difference between the two, so make sure you know what you can afford, for how long you are willing to be in debt and what your contingency plans will be for paying off the debt upon your return before you commit to a gap year. If you answered "yes" to nine or more questions then you are probably financially prepared for a gap year. However, if you answered "no" to having enough savings to cover your expenses or to understanding the way a loan would work for you then even if you were able to answer "yes" to every other question you are not yet able to afford a gap year. Understanding your expenses and being able to price out a trip is good preparation, but until you have the cash to pay for everything outright, or the knowledge of the kind of loan you are prepared to take in order to access more funds, you are not in a position to commit to a gap year.